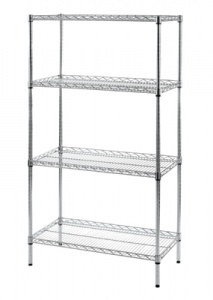 Heavy duty metro style chrome wire shelving with lipped shelves to retain loose products. 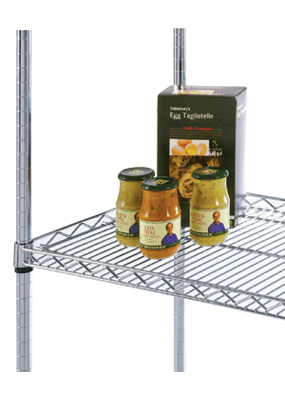 Strong and sturdy commercial grade shelving with super-easy boltless assembly. 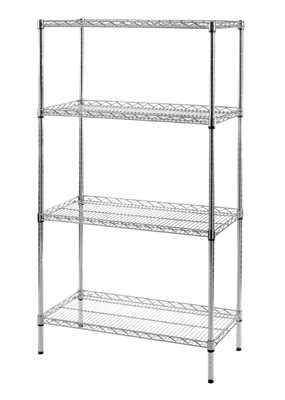 This unit comes with 4 wire shelves that can be positioned exactly where you need them and are easily adjusted after assembly if required. Posts and shelves feature a bright Nickel-Chrome finish that makes it perfect for presentational purposes in a wide range of environments.